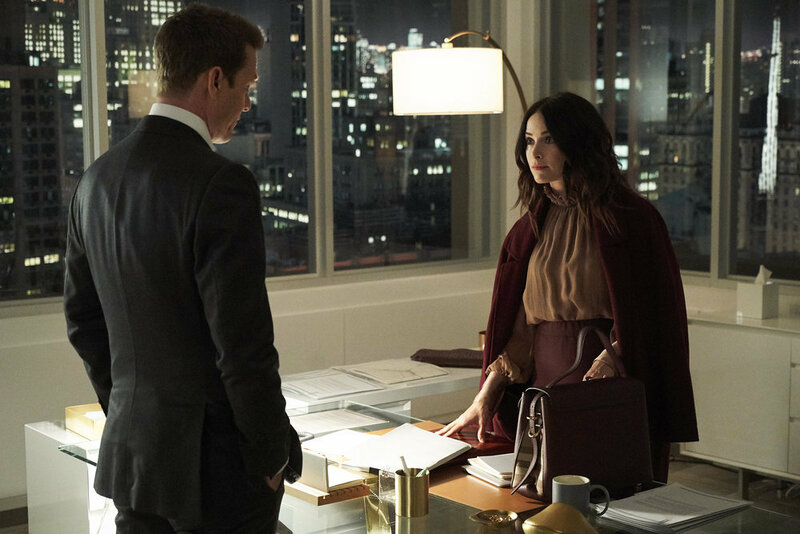 When Abigail Spencer returns to Suits as Scottie for season 8 episode 14, it’s going to put Harvey in a tight spot. We know the history that the two of them have. Yet, at the same time, he has a firm to stand alongside. That’s what makes things difficult for this particular episode (entitled “Peas in a Pod”). Related Suits video – Be sure to get some other information regarding Suits below. Meanwhile, remember to subscribe to CarterMatt on YouTube for some other information and be sure to visit our full show playlist. It goes without saying that Samantha and Scottie are both formidable at what they do — we feel like we’ve seen enough of Suits over time to know and understand that. What’s still somewhat of a mystery is how Harvey chooses to handle this battle. If he goes against Scottie, he goes against someone who he has a long and complicated history with. Going against Samantha, meanwhile, is effectively going against his own firm. As for Louis representing his own therapist, there’s something that is also deeply fascinating about that. For the better part of the series, we’ve seen Lipschitz try to help Louis with a wide array of problems; will the relationship change if Louis suddenly has to help him? It is a fascinating sort of reinvention of the roles we’ve seen from these two over time. We’ve always loved this dynamic, so we don’t want to see it change too much — but having it incorporated in this sort of way for the show should prove to be rather fun. Of course, we want to see everything end up okay — Louis probably needs a therapist more than ever as managing partner, given that he’s under more stress than ever and there are a lot of people counting on him to be a proper leader. It’s awesome to see Spencer back on the show (we miss Timeless already), and we know that she’s not the only familiar face stopping by. You’re also going to have a chance to see Neal McDonough return as Sean Cahill, and there’s a good chance that a notable adversary from the past will also be stopping by. Related News – Be sure to get some more information regarding the episode airing on Wednesday night!